3rd ODI India vs Australia Melbourne: India opener Shikhar Dhawan had a special message for his partner at the top of the order Rohit Sharma ahead of the all-important decider at Melbourne. 3rd ODI India vs Australia Melbourne: India opener Shikhar Dhawan had a special message for his partner at the top of the order Rohit Sharma ahead of the all-important decider at Melbourne. Dhawan in a post-conference said that Rohit is already the father of batting which is extremely heartwarming. 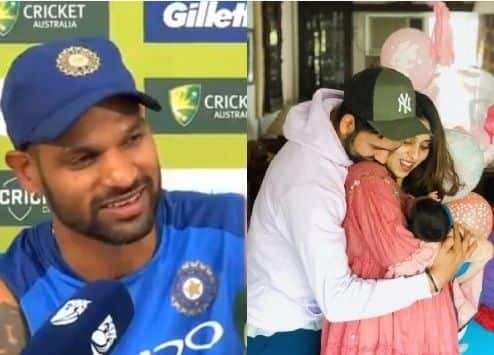 “He was the father of batting already and now he is a father in real life too, I am very happy for him and I know he is happy as well. I know he will make a great father,” Dhawan said. Recently, Dhawan and Rohit completed 4000 ODI runs together as an opening pair and joined the likes of Sachin Tendulkar and Sourav Ganguly in the openers list. India would dearly hope that the duo gets the team off to a brilliant start in the decider at MCG which would make the work easier for the rest of the team.